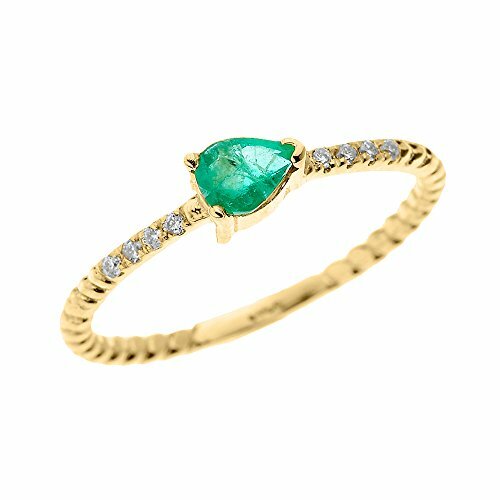 This diamond and May Birthstone Green CZ solitaire rope design ring was individually hand polished to a lasting high sheen polish finish. If you have any questions about this product by Dainty and Elegant Gold Rings, contact us by completing and submitting the form below. If you are looking for a specif part number, please include it with your message.